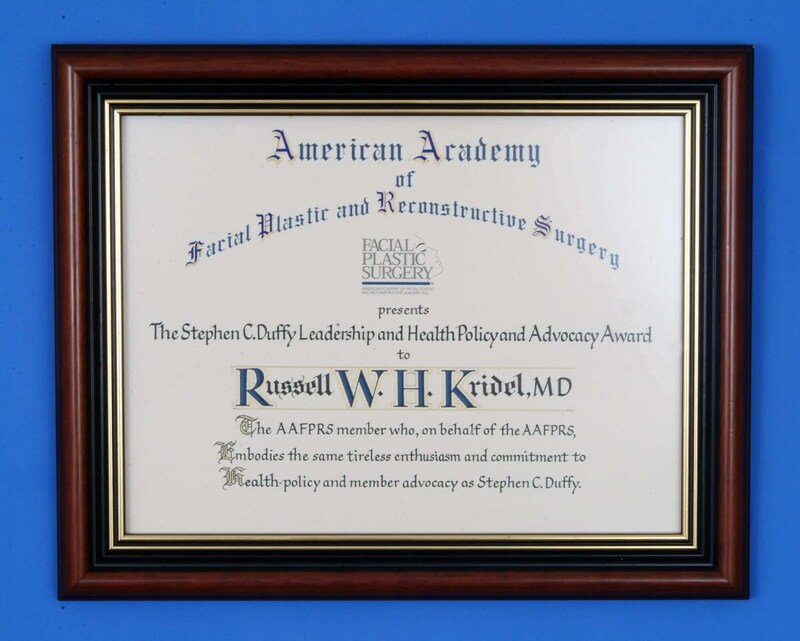 The American Academy of Facial Plastic and Reconstructive Surgery (AAFPRS) awarded Russell W.H. 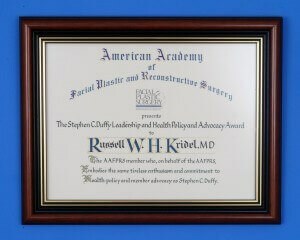 Kridel, MD, FACS, of Facial Plastic Surgery Associates in Houston, Texas, with the prestigious Stephen C Duffy Award for Leadership, Health Policy and Advocacy.at the AAFPRS Annual Meeting in Nashville where world-class facial plastic surgery innovators and educators explored cutting-edge facial rejuvenation techniques. The honor is awarded to the AAFPRS member who embodies the same tireless enthusiasm and commitment to health policy and member advocacy as Stephen C Duffy, former Executive Vice President of the AAFPRS. 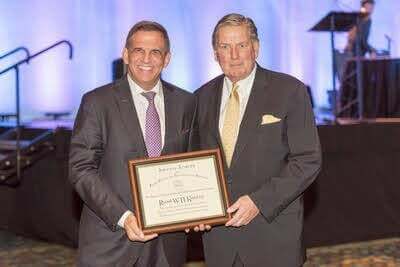 In his years at the AAFPRS and American Medical Association (AMA), Duffy exemplified a vigorous commitment to the political process and greatly influenced the profession's and the public's knowledge of the quality care that facial plastic surgeons deliver.